We are a scrap metal buyer and recycler. Specializing in industrial metals, high temperature alloys, ferrous, non-ferrous scrap metal, and all types of precious metals. Committed to our customers, we pay top dollar. Our scrap metal recycling covers the entire range of scrap metals such as aluminum, brass, copper wire, stainless steel, inconel, incoloy, hastelloy, monel, titanium and other nickel alloy, aircraft alloy. 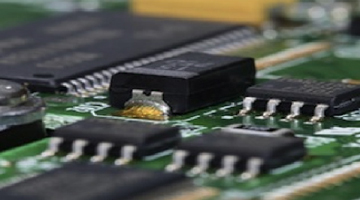 We also buy and recycle carbide, molybdenum, cobalt and all other hard metal alloys. We buy and recycle turbine engine parts, pressure vessels, heat exchangers, valves, furnace liners, electrodes, tanks, electric motors, copper wire, water meters and much more. We buy and recycle all aluminum including manufacturing scrap such as solids & turnings. Our aluminum scrap program includes recycling of 2024, 5052, 6061, 6063 alloys and more. We buy and recycle brass scrap in all forms including new manufacturing scrap such as solids & turnings. Our brass recycling program includes recycling of yellow brass, red brass, 360 rod brass & aluminum brass. 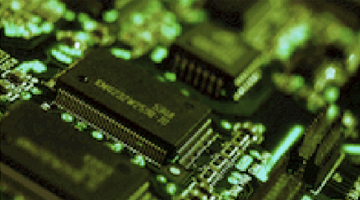 Our carbide recycling program includes recycling of inserts, end mills, drills, saw tips, tooling, pcb drills, dies, blanks, rounds, powder and more. Our copper wire recycling program includes all sizes of copper wire scrap. We recycle high voltage wire, house wire, electronics wire, machine & tooling wire and any other copper wire. We recycle copper wire in many different forms such as bare wire, insulated wire, jacketed wire, wire harnesses, plugs & so on. We recycle all forms of cobalt alloy scrap including new production scrap. We recycle hastelloy scrap in many forms & grades. 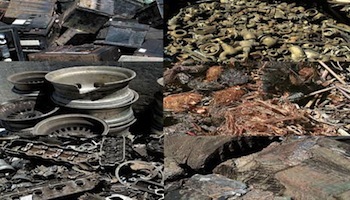 New productions scrap as well as products such as vessels, pipe, valves and more. Our incoloy recycling program provides recycling of incoloy scrap alloys & forms. Production scrap such as turnings & solids & products such as vessels, pipe, valves & so on. Incoloy recycling of alloy 800 & 825. Our inconel recycling program provides recycling of inconel scrap alloys & forms. New production scrap as well as products such as vessels, pipe, valves & so on. Inconel recycling of alloy 617, 625, 713 & 713. Our molybdenum recycling program includes all forms & grades of molybdenum scrap including new production scrap. Please contact us if you have any additional questions regarding our molybdenum recycling program. We recycle monel scrap in all forms & grades including turnings, solids, valves, bolts and more. 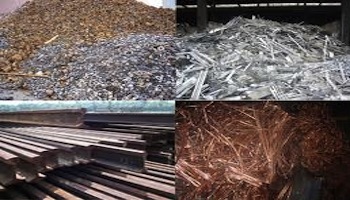 Monel recycling of alloys R & K.
We recycle nickel alloy scrap in all forms & grades including turnings, chips, solids, cut offs, plate, sheet, bar stock, tubing & pipe, Nickel alloy recycling of pressure vessels, heat exchangers, valves, tanks. We offer stainless steel recycling of 304, 316, 330 alloys as well as all other stainless steel alloys. 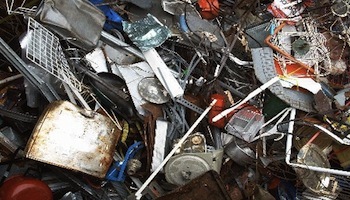 Some of the forms of stainless steel scrap we recycle are turnings, chips, solids, cut offs and more. We also recycle stainless steel products such as valves, flanges, tanks, pressure vessels, and heat exchangers. We recycle titanium scrap in all grades & forms including turbine blades & disks. Our titanium recycling program includes recycling of 6-4, 6-2-4-2 & CP alloys. We recycle tungsten scrap in all grades & forms including production scrap or surplus, powders. Our tungsten recycling program includes recycling of mallory & hevimet alloy. 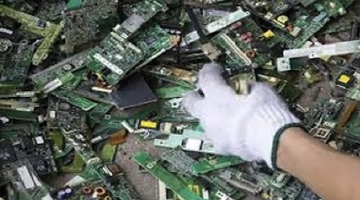 We buy and recycle broken and unwanted gold scrap, Casting gold and grain, Cluster Rings, Gold alloys, Gold bullion, Gold coins and bars, Gold dental crowns and bridgework, Gold dust and sweeps, Gold findings, Gold flake, Gold ingots, Gold nuggets, Gold screen and mesh, Gold sheet, Gold shot, Gold sizing stock, Gold solder, Gold sponge, Gold wire, Gold-filled scrap, Goldsmith's bench filings and sweeps, Karat gold jewelry, Melted gold, Placer gold, Polishing and buffing dust. We buy and recycle Silver Doré, Silver Flake, Other metallic silver, Jewelry, Bench Sweeps, Dental lab Scrap, Flatware, Silver coins, Silver powder, Silver solder and more. Platinum Wire, Platinum Rhodium, Thermocouple Wire, Platinum Alloy, Platinum Jewelry, Platinum Titanium, Platinum Molybdenum, Platinum Plated, Platinum powder and more. Palladium Metal, Palladium Alloy, Palladium Jewelry, Palladium Plated, Palladium Catalyst, Palladium Sponge, Resins, Palladium Wire, Palladium powder and more. Mixed Lead, Battery Plates, Battery Lugs, Lead Wheel Weights, Mixed Common Babitt, Lead Solder Scrap, Lead Free Solder Scrap, Lead Covered Copper Cable, Lead Covered Cable Joints, Lead Dross, Antimony Content Scrap and more. If you have any questions or need a quote, please contact us!